If you ever wondered about starting an online business/ creating a site, you might have received suggestions including a membership site. Indeed, a membership website can be an earning bowl if you are creating an exceptional content worth ‘real value‘. And WordPress is doubtlessly the best platform for creating a website with a bunch of handy WordPress membership plugins. But in case you have no idea what a membership website is and how to create one, you are at the right place. This article is about creating a WordPress membership website in simple and hassle-free manner. Moreover, this article is a review of 5 best WordPress membership plugins for 2019 which enables you to create a membership site easily. A membership site is a website that offers EXTRA content like various digital products including e-books, online courses, webinars etc. for free or paid subscription/ membership to the website. In simple words, the major content of the website is hidden behind walls and a user has become a member to unlock the main content. For example, you can check out Authority by Copyblogger which is a popular community providing online content marketing training. You need to subscribe either monthly or yearly membership to get the content they are offering. Having said this, membership site doesn’t only mean paid subscription sites. There are thousands of websites offering quite awesome digital products for the free subscription. So, a membership site is like a community aimed at increasing members/ subscribers via free or paid subscription. What features should you check out in a Membership Plugin? There are plenty of choices when it comes to WordPress membership plugins, however, getting the right plugins is what it matters. You may need a simple and basic plugin or feature-rich plugin depending on the type of content you will offer. Therefore, here are some most vital features you should check out before getting a plugin. Some of the membership websites may be good enough at providing a single level of subscription, i.e. same content for all subscribers. While some of the sites may need multiple membership levels as they are offering different types of content. If your plan is just to make a bigger and friendlier community offering free content, a plugin offering single level membership may be fine whereas you may need something more than this if you are selling multiple types of subscriptions. If you are selling paid memberships, you definitely need a plugin with access to a convenient payment gateway. PayPal is the almost the industry standard. Similarly, if you are planning to sell digital products like e-books or physical products, eCommerce support is a must. Content dripping means releasing content in installments. In other words, the subscribers have to visit the site at regular intervals to get new content. As a website owner, you will part the content and create a schedule so that users get the whole content slowly over time. It is a good way to attract the old visitors and earn recurring money if you are selling memberships. Now, let’s explore the five best WordPress membership plugins worth checking out in 2019. I have included both the free and premium plugins, and both simple and feature-rich plugins. MemberPress is undeniably one of the best WordPress membership plugins one can ever have. It provides an easy and simple interface while promising the ultimate features you may need for a complete membership website. Believe it or not, it has everything you may ask. The plugin offers an ultra-level of flexibility which works perfectly with any theme; a freedom to have your favorite design. Similarly, it is perfectly okay to be used with an existing WordPress website. On top of everything, it has seamless integration with the CMS WordPress. Talking about customer support, you will get unparalleled support from the team of experts. Unlimited Memberships – Easily create unlimited memberships, set each membership’s price, subscription period, trial period etc. Content Restriction – Restrict access to any content including pages, child pages, posts, custom post types, categories, tags and almost any others files. 3 Major Payment Gateways – Simple and painless options to configure 3 widely used payment gateways. PayPal and Stripe gateways are included in the Business plan and Authorize.net is also included in Developer plan. Content Dripping – Timed release of content and content access expiration features are included. 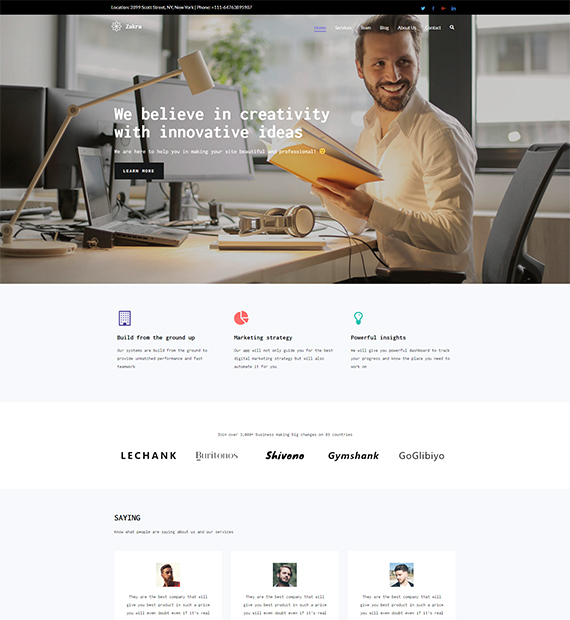 Pretty pricing pages – Use the available pricing page templates or customize them as you like. Coupons – Create coupons and control how many times they can be used, when they expire and more. Limitations: Despite the fact that MemberPress is a feature-rich plugin offering plenty of options, it doesn’t have eCommerce features. Therefore, you cannot sell physical products. In conclusion, the MemberPress is an outstanding membership plugin for WordPress. It has plenty of features and options you may need for a complete membership site however it may not be an ideal option if you want to sell physical products. Restrict Content Pro is a full-featured powerful membership WordPress plugin by the popular Pippins Plugins. It is probably the finest solution to lock away your exclusive content and give access to the valued members. The plugin offers the ultimate level of membership features while making the user interface extremely simple. The plugin is built with developers in mind; customize and modify anything as per your specific needs. In addition, it integrates perfectly with any theme without any custom CSS being necessary. Similarly, it ensures seamless integration with other plugins and add-ons. If you have any problem while using this plugin, contact customer support. They are brilliant in providing expert support. Unlimited Membership Subscription Levels – Create any number of membership subscription levels. Set price, an optional signup fee (one-time amount), a frequency and period, and user role for each subscription level. Content Restriction – Restrict any content in your website in the most simplified manner. Integration with Payment Gateways – It has built-in integrations with Stripe, Braintree, 2Checkout and PayPal Websites Payments Pro. Additionally, it supports other payment options as well. E-commerce support – The plugin has deep WooCommerce integration offering you all the eCommerce features. Data export – generate CSV of all active members individually or of any particular subscription level. Member emails – welcome emails, payment receipt emails, subscription expiry reminder emails etc. Limitations: The plugin lacks content dripping feature which is surely a fundamental feature for a membership site. In conclusion, Restrict Content Pro is a cost-effective and user-friendly solution for creating a membership site. Compared to the other two premium plugins reviewed here, it is cheaper. As the name suggests, WooCommerce Memberships is a powerful WordPress plugin from the makers of the wonderful WooCommerce software. Moreover, it is an extension of WooCommerce plugin which is created to provide users an extremely simple platform for creating a membership site. WooCommerce Memberships features almost all the functionalities and options required for a membership site. You can restrict content to members, drip content, sell access to memberships, include memberships with product purchases, and completely integrate restrictions with your store. However, it requires another WooCommerce extension ‘WooCommerce Subscriptions‘ for subscribing features which is an extra investment. Sell or Assign memberships – Create several types of memberships and assign the products as you want. Furthermore, grant access to a membership as part of a product purchase, grant access to the same membership from several products etc. Content Restriction – You can restrict posts, pages, custom post types etc. and allow access to the certain members. Similarly, you can create members-only products and offer certain products exclusively to members. You can restrict both product viewing and purchasing. Several Payment Gateways – WooCommerce Memberships has tough integration with several payment gateways which actually come with Subscriptions. Content Dripping – You can strategically drip content; schedule it when members should have access to the content. For example, you can require that customers be a member for a month before they get access to your custom posts. Simplify communication with members – Membership notes for sharing notes and information with customers. Limitations: The plugin requires users to get another plugin WooCommerce Subscriptions for features like subscription and recurring payments. In conclusion, WooCommerce Memberships is a perfect membership plugin for eCommerce websites as it has an ultimate level of integration with WooCommerce. It seems quite expensive as it requires you to buy Subscriptions however the quality it offers is worth value. However, it may not be an ideal solution if you are in a low budget. Membership 2 is a freemium plugin which is available in both FREE and paid versions. The plugin is developed by WordPress professionals at WPMU. It provides a simpler platform with more powerful controls so as to let users create membership sites without messing around. Moreover, it is a user-friendly, intuitive and beautiful membership management tool for WordPress. The plugin allows you to restrict any content on your website and allow the content access to the certain subscribed members. 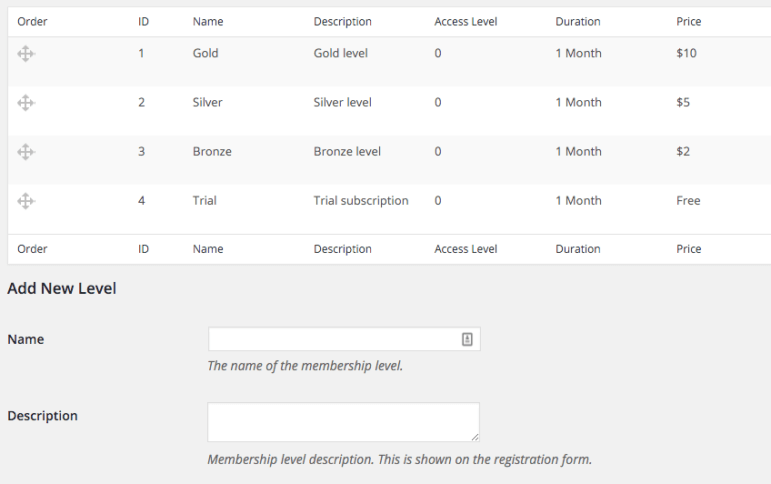 Creating memberships is really simple with the inbuilt ‘smart setup wizard’. The smart setup wizard will guide you through configuring a wonderful membership site instantly. The plugin presents mainly four base membership options: Standard Membership, Dripped Content Membership, Guest Membership and Default Membership. Standard Membership makes your content available to members and hidden to not-logged-in users. Dripped Content Membership lets you release the content in timed intervals. Guest Membership is great for limiting access to only a few items and default membership allows content access to all users. The plugin has integration with payment gateways PayPal, Stripe, and Authorize.net. You can sell memberships and earn money. The free version of the plugin simply offers content restriction options and lets you protect your posts and pages. For more advanced features, you must buy a WPMU membership. Membership 2 Pro plugin comes with a bundle of useful add-ons so you can add only the functionality your sites. Limitations: Membership 2 free plugin has simple basic features which may not meet all your requirements of a membership site. The premium version cannot be purchased individually; you must buy a WPMU membership which is quite costly. In conclusion, the free version of Membership 2 plugin is a nice pick for basic membership features. The premium version is feature-rich yet needs quite a bigger investment so it may not be ideal for beginners. If you are a website development agency creating multiple websites and multisites, WPMU membership is advantageous. WP-Members is a free WordPress membership plugin available at official WordPress plugin repository with over 70,000 active installs. It is an awesome plugin that restricts the selected premium content on your site and lets you allow access to the registered site members. The plugin restricts all posts by default which the website owner should unblock as desired to the members. However, you can always change the default settings. The plugin lets you restrict posts, pages, individual posts or pages etc. 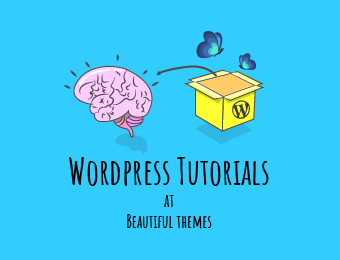 The plugin works well with any WordPress theme you may use without requiring any modifications. However, if you want to make some design tweaks or customize the look and feel, you are completely free to do so. Moreover, the plugin is created on the basis of some assumptions like; restrict premium content, single membership level, and free subscription etc. It definitely lacks some features in the core plugin available at WordPress.org but there are some really useful premium extensions. You must register to their site and become a member for the extensions. Limitations: The plugin lacks integration to payment gateways, eCommerce features, and multiple membership levels. In conclusion, WP-Members is a free and reliable plugin for a simple membership site. You can easily set up, configure and restrict the content. However, it may not be a good choice if you are planning to sell extended features like content dripping, multiple subscription levels etc. If you search for membership plugins on the internet, you will find many plugins. The competition is very tough that you will find it difficult to decide. Therefore, I created this post for helping you out with comprehensive reviews. Write your thoughts below in the comment box. You always provide latest stuff and I am a fan of your blogs. Content of this blog very user friendly. Very deeply inform about every word press point. Hi Sunita, I agree with you. I think Wishlist also a good one. I used it. There are membership plugins for WordPress that allow certain posts/pages to only be seen by registered members. I don’t think they customize content to individual users, so you’ll probably need to modify plugins such as these to suit your purpose, but maybe they’d provide a good starting point. Great collection,nice list it is very useful, thank you for sharing. Hello, guys, check please Membership by Supsystic plugin this is the best membership plugin I’d ever used. Thanks for writing about the plugin you have used. I hope this will serve as one more alternative to our article readers. Hey Sunita, very thorough post! One thing that I’ve found to be really useful in a membership plugin is a good set of developer tools. Hello, guys, check please Membership by ARMember plugin this is the best membership plugin I’d ever used. Thanks for the informative article for membership site. I was recently asked about a membership site that has Facebook login feature. Not sure if you have any recommendation on that. I think what people are looking for is getting more demanding, which include user experience from registration to logging in to get started.